Faith, trust, and a little bit of WTF. 1. The actor who voiced Prince Eric was only 16 years old at the time of recording. Christopher Daniel Barnes may have sounded mature, but he was a teen when he played Ariel's dream man. Meanwhile Jodi Benson, who voiced Ariel, was 28 years old at the time of recording (which is ironic, since Ariel is supposed to be 16, while Eric is meant to be the older one). 2. Natalie Portman's voice was used in early animations of Rapunzel from Tangled. While it's difficult to imagine the voice of Rapunzel as anyone other than Mandy Moore, early pencil tests show that animators used Natalie Portman's voice from Closer during an emotional monologue to capture the princess' delicate movements. 3. 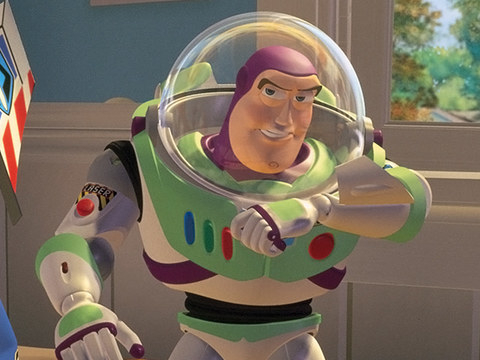 Billy Crystal was the first pick to voice Buzz Lightyear, but turned it down. "It's the only regret I have in the business of something I passed on," Crystal said. 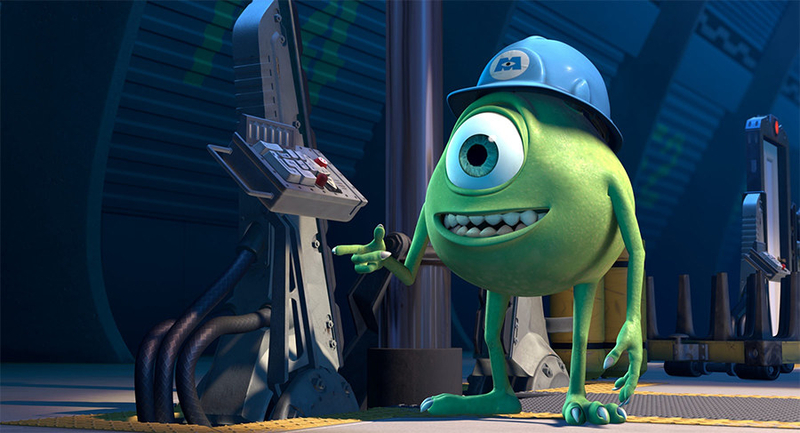 Still, he admits that everything worked out in the end when he was offered a second chance to be a part of the Pixar universe in the form of Mike Wazowski. "Tim [Allen] is a beautiful guy with a resonant voice. Mike is a better fit for me." 4. Mattel did NOT want Barbie to be a part of the first Toy Story. In the original script for Toy Story, Barbie was the love interest of Woody, not Little Bo Peep, but Mattel turned down the offer. Apparently, Mattel didn't want Barbie to be a part of ANY animated film, hoping to leave her neutral so that it would allow "girls to imprint any personality they wanted" on her. But, after the success of the first Toy Story, Mattel graciously offered Barbie's participation in both Toy Story 2 and Toy Story 3. 5. Jackie Chan provided the voice (both speaking and singing) for the Beast in the Chinese version of Beauty and the Beast. Chan's singing and acting skills were so unmatched that he was chosen to both speak AND sing for the role of Beast in the Chinese dub of Beauty and the Beast. 6. "Do You Wanna Build a Snowman?" almost didn't make the final cut in Frozen. It was taken out, then put back in, then taken out again, as many thought the song slowed down the opening of the story. They seemed to be content without the song in the film until THE VERY LAST EDIT. "It was not put back into the film until the witching hour before we released it," said Kristen Bell. 7. And the same thing happened with "Part Of Your World" in The Little Mermaid. During an early test screening for the film, a young boy spilled popcorn mid-song, which lead Jeffery Katzenberg (Disney's chairman at the time) to conclude that the song was too boring for young children to want to sit through without losing interest. However, the rest of the staff fought for the scene, and it stayed (thank goodness). *Okay, so this one isn't technically Disney, but it ties into a Disney classic and, frankly, is just plain weird. In earlier drafts of the groundbreaking film Who Framed Roger Rabbit?, the villainous Judge Doom was not ONLY the killer behind Eddie Valiant's brother's murder, but he was ALSO the heartless hunter who killed Bambi's mother. This was cut later because WHAT THE ACTUAL HECK?! 9. Test audiences didn't clap during the songs in Aladdin, so animators put in the "Applause Sign" as an inside joke. It's well-known Broadway musical etiquette to clap after musical numbers; however, test audiences didn't seem all too impressed by the Genie's giant romp, "Friend Like Me." After several preview screenings with zero reaction from the movie-goers, animators added in the "Applause" sign as an inside joke. 10. Sean Connery was considered for the part of Mufasa. 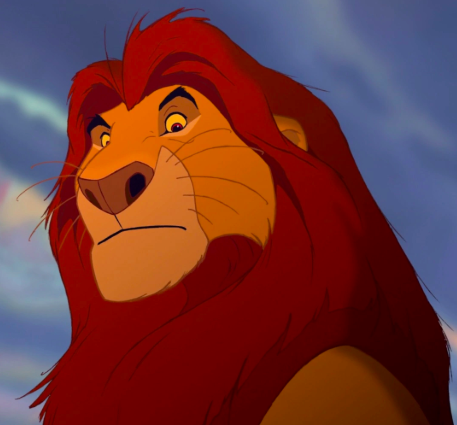 James Earl Jones IS Mufasa (not an opinion, just a fact), but he wasn't always the only voice identified with the character. 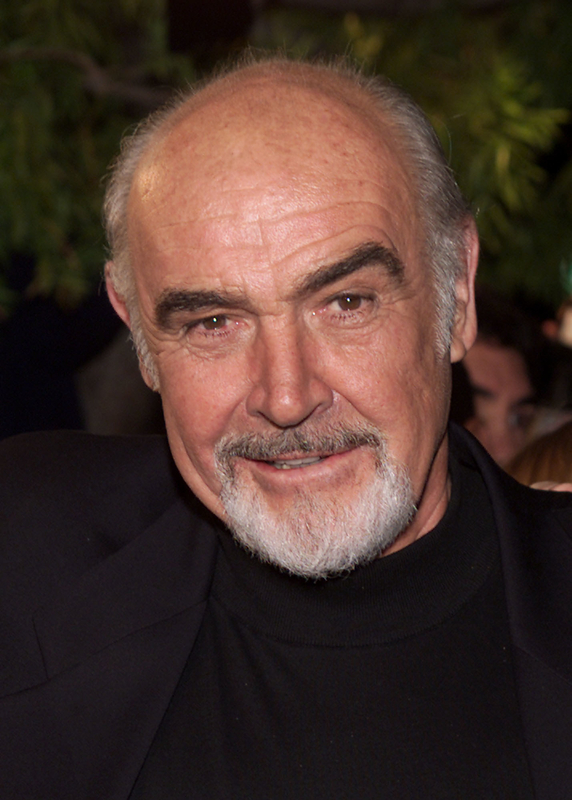 During casting, Sean Connery was a top contender for the role, and made it to the very end before Jones was ultimately picked. Bonus Fun Fact: Eddie Murphy was almost offered the role of Timon, as Nathan Lane originally auditioned for a hyena. 11. Disney was sued by a hyena biologist for their portrayal of hyenas in The Lion King. When animators were allowed into the University of California’s Field Station for Behavioral Research to observe hyenas for The Lion King, researchers expressed hope that the animals would be portrayed in a positive light. Unfortunately, when the movie was released, they felt that their villainous behavior would be a set-back in protecting them in the wild, with one researcher going so far as to sue Disney for "Defamation of Character" on the hyenas' behalf. 12. Pocahontas was supposed to have a talking turkey named Redfeather as a sidekick. The goofy, lovable bird was a big part of the original script. 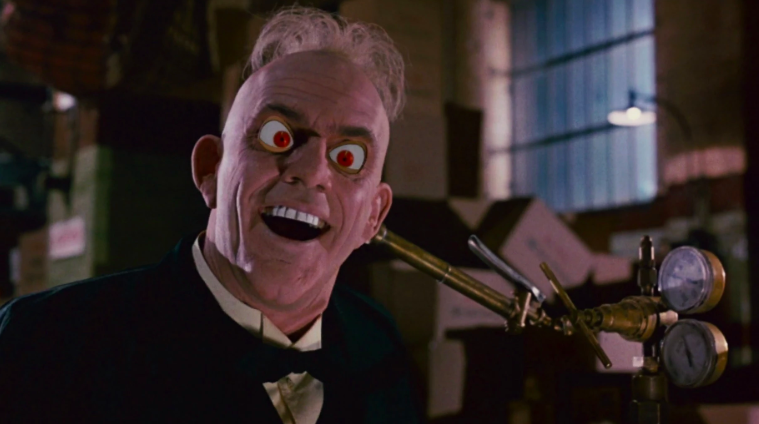 In early tests (seen here), he was to be voiced by John Candy and act as the comic relief. 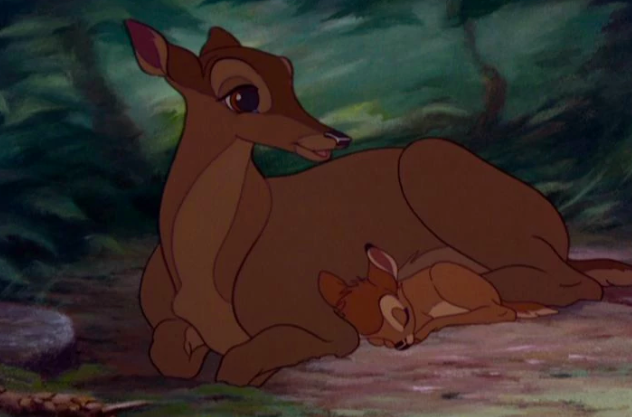 However, this plan changed drastically and the character was cut completely when the writers decided they wanted all of the animals in the film to be silent. This is what led to the development of Meeko, the biscuit-stealing raccoon, and Flit, the angry little bird. 13. Patrick Stewart was originally offered the role of Jafar in Aladdin. 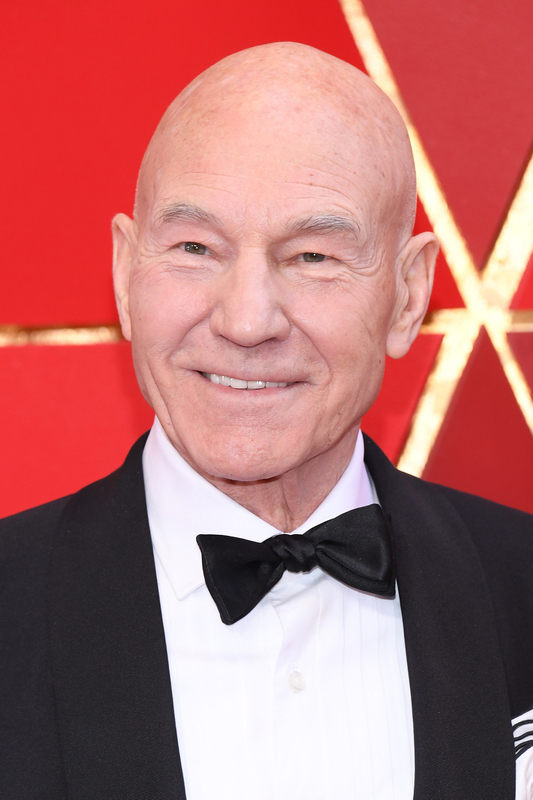 That's right, Professor X himself was originally the top choice for the evil royal vizier, but he had to turn it down because of conflicts with filming Star Trek: The Next Generation. 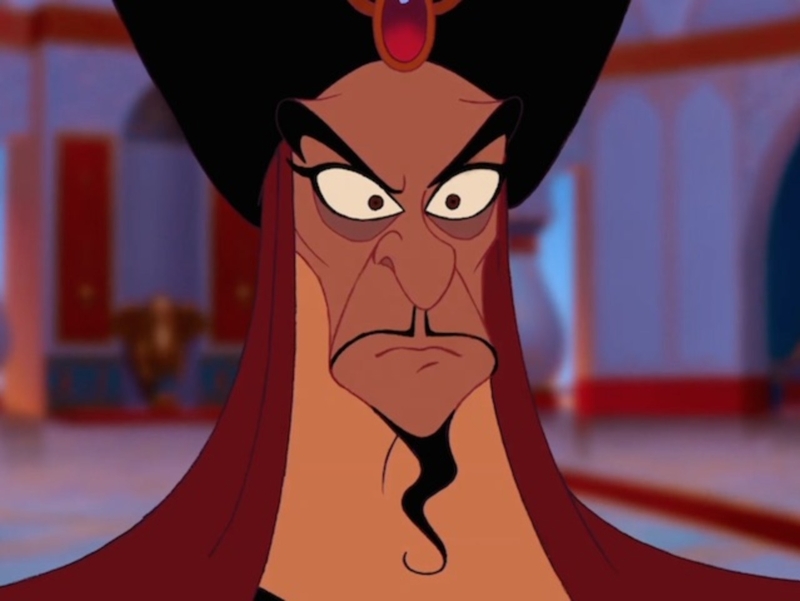 Bonus Fun Fact: Jafar's whole aesthetic was actually modeled after Maleficent, the mistress of evil from Sleeping Beauty. 14. Patton Oswalt's stand-up about the Black Angus Steakhouse is what inspired Brad Bird to hire him as Remy in Ratatouille. The adorable rat who loved food needed to be voiced by someone who was equally passionate about not only cooking, but eating. That's where Oswalt came in, who was hired for the role after Bird heard him on the radio. "I was talking about the Black Angus Steak House, and how they assault you with food," Oswalt said. "That enthusiasm [about food] is what he wanted, I guess." 15. The Hunchback of Notre Dame has a very random Fantasia Easter Egg. One of the supervising animators on The Hunchback of Notre Dame, Michael Surrey, noticed that a portion of the song "Court of Miracles" sounded VERY similar to "The Sorcerer’s Apprentice" in Fantasia. Rather than change the song, he animated Clopin (who sings the song) to give a nod to the iconic scene by lifting his robe and skipping like Mickey Mouse did in Fantasia. 16. While Ariel may be a mythical creature, her movements and mannerisms are based on a real person. Model Sherri Stoner acted as the live-action reference for Ariel. In this behind-the-scenes clip (beginning around the 45 second mark), we see Stoner was originally brought in to merely stand-in; however, animators ended up using many of Stoner's personal mannerisms and movements for Ariel. In fact, Disney enjoyed Stoner's additions to the character so much, they brought her back as the live-action reference for Belle in Beauty in the Beast. 17. Phil Collins wrote the most emotional song in Tarzan on the back of some Christmas wrapping paper. In case you weren't sure of Collins' massive talent, he came up with the chords for "You'll Be In My Heart" while sitting at his neighbor's piano in the middle of a boisterous Christmas party. He was worried he'd forget the melody he'd written, so he scribbled the chords down on some nearby wrapping paper, and the rest is history.